Celebrating on January 15, 2018, 20 years of successful Safety Data Mining at the FDA! Our most recent work proposal is directed at solving the widespread and crippling non-interoperable coding of clinical laboratory data that affects Sentinel, OHDSI, PCOR, CTs and EHR analyses. Currently, usable clinical laboratory data cannot be transported among data systems or used reliably for integrative analyses because of non-interoperable coding. In 1998 Dr. Szarfman took the lead role in developing, implementing, and optimizing the use of modern and systematic safety data mining tools to speed the analysis of large safety databases. These tools enhance the ability of FDA to conduct post-market surveillance of drug safety. Their use has expanded to over 500 regular users across FDA. They are also widely used by other regulatory Agencies and by the Industry. For this accomplishment, she was awarded both, the FDA and CDER Outstanding Scientific Achievement Awards in 2002. In 2007, Ana was named to the PharmaVOICE 100 list as one of the 100 Most Inspiring People in the Life-Sciences Industry for making this methodology and technology easily accessible to safety reviewers. In 2005, Ana helped develop and is maintaining a functioning repository of Clinical Trial data. Since 2005 she has been working at enhancing the NDA/BLA medical review processes that enable shorter, transparent, and fully auditable clinical trial review cycles, improved collaboration among reviewers/offices, and immediate access to the data for re-analysis. 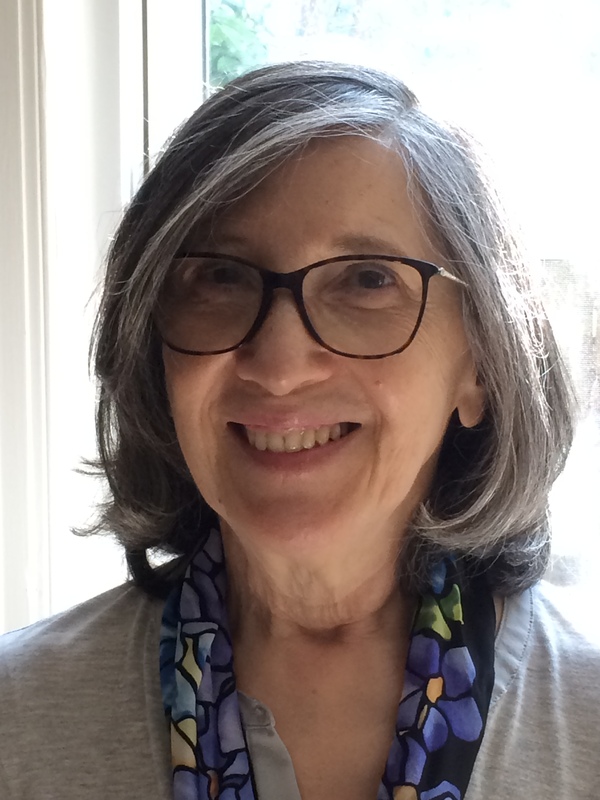 Since 1994 Ana has been working at enhancing several visualization tools for Clinical Trial data that are now widely used at the FDA and by other regulatory Agencies and the Industry. Before joining the FDA she served as a Member of the Scientific and Technical Review Committee on the Activities of the Steering Scientific Working Group on Chagas’ Disease, World Health Organization. Papoian T, Jagadeesh G, Saulnier M, Simpson N, Ravindran A, Yang B, Laniyonu AA, Khan I, Szarfman A. Regulatory Forum Review*: Utility of in Vitro Secondary Pharmacology Data to Assess Risk of Drug-induced Valvular Heart Disease in Humans: Regulatory Considerations. Toxicol Pathol. 2017 Apr;45(3):381-388. doi: 10.1177/0192623317690609. Epub 2017 Jan 1. Review. Harpaz R, Odgers D, Gaskin G, DuMouchel W, Winnenburg R, Bodenreider O, Ripple A, Szarfman A, Sorbello A, Horvitz E, White RW, Shah NH. A time-indexed reference standard of adverse drug reactions. Sci Data. 2014 Nov 11;1:140043. doi: 10.1038/sdata.2014.43. Rivkees SA, Szarfman A. Dissimilar hepatotoxicity profiles of propylthiouracil and methimazole in children. J Clin Endocrinol Metab. 95:3260-7. 2010. Epub 2010 Apr 28. Szarfman A, Tonning JM, Levine JG, Doraiswamy PM. Atypical antipsychotics and pituitary tumors: a pharmacovigilance study. Pharmacotherapy. 26:748-58, 2006. Szarfman A. Levine JG, Tonning JM. Chapter 27. A New Paradigm for Analyzing Adverse Drug Events. In: Computer Applications in Pharmaceutical Research and Development. Edited by Sean Ekins, Published by John Wiley and Sons. 2006. Szarfman A, Doraiswamy PM, Tonning JM, Levine JG. Association between pathologic gambling and parkinsonian therapy as detected in the Food and Drug Administration Adverse Event database. Arch Neurol. 2006 Feb;63(2):299-300; author reply 300. Levine JG, Tonning JM, Szarfman A. Reply: The evaluation of data mining methods for the simultaneous and systematic detection of safety signals in large databases: lessons to be learned. Br J Clin Pharmacol. 61:105-13; 2006. author reply 115-7. Almenoff J, Tonning JM, Gould AL, Szarfman A, et al. Perspectives on the use of data mining in pharmaco-vigilance. Review. Drug Saf. 28:981-1007, 2005. Szarfman, A, Machado, SG, O’Neill, RT. Use of Screening Algorithms and Computer Systems to Efficiently Signal Higher-Than-Expected Combinations of Drugs and Events in the US FDA’s Spontaneous Reports Database. Drug Saf. 25:381-92, 2002. O’Neill RT, Szarfman A. Discussion: Bayesian Data Mining in Large Frequency Tables, With an Application to FDA Spontaneous Reporting System by William DuMouchel. The American Statistician.53:190-6, 1999. Szarfman A, Talarico L, Levine JG. Chapter 4.21. Analysis and Risk Assessment of HematologicalData from Clinical Trials. In:Comprehensive Toxicology.4:363-79. Editors-in-chief: I.Glenn Sipes, Charlene A. McQueen, A. Jay Gandolfi. Elsevier Science Inc. 1997. Levine JG, Szarfman A. Standardized Data Structures and Visualization Tools: A way to accelerate the regulatory review of the integrated summary of safety of new drug Applications. Biopharmaceutical Report, 4:12-7,1996. Szarfman A, Kuchenberg T, Soreth J, Lajmanovich S. Declaring the sodium content of drug products. NEJM 333:1291, 1995—Correspondence. Szarfman A, Chen M, Blum MD, Pierfitte C, Gillet P, Royer RJ. More on fluoroquinolone antibiotics and tendon rupture. NEJM 332:193, 1995—Correspondence.